Special treat for girlfriends get together. Ambiance, tea selection and food was wonderful. A bit of times gone by. Today, my fiancé and both our mothers joined us for afternoon tea to discuss our upcoming wedding and celebrate. I’ve been to The Reserve many times and this was the first time I’ve considered not returning and looking elsewhere for a new high-tea. When we arrived, we were not presented with the menu and told it was a set menu. We know this but there are anaphylactic allergies in our party so to not see the food menu was concerning. The server dropped the ball many times and we sat with our credit card on the table for over 30 minutes with our server never checking back on our table. We had to bring our bill to another server so that we could cash out and be on our way. The sandwiches were disappointing and seemed to have lost its creativity and charm that it once had. Overall, this was a great opportunity to enjoy a special moment that was ruined by someone who didn’t seem interested in working that day. 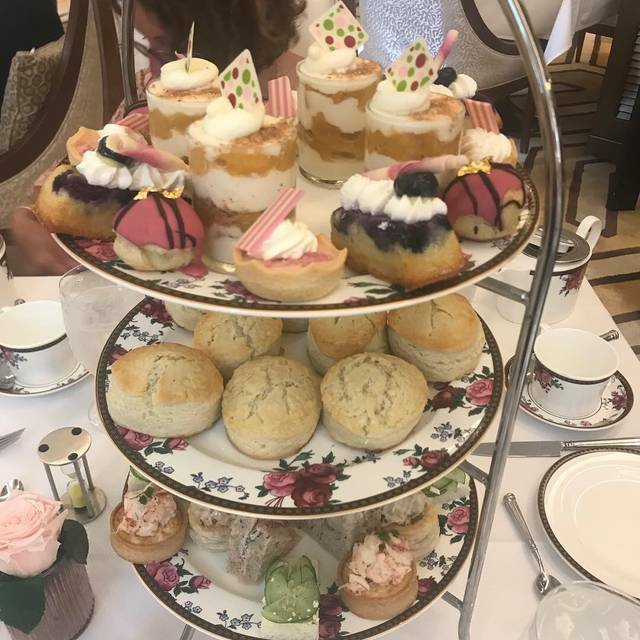 My sister and I did the Afternoon Tea experience and we LOVED IT!!!! We were celebrating her 45th birthday and a special treat with a candle was brought out while the pianist played happy birthday. It was very special. 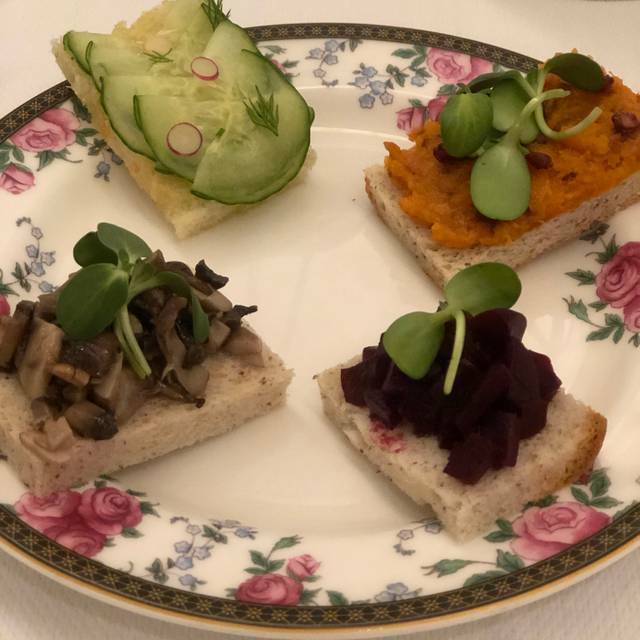 I am a vegetarian and asked for additional tea sandwiches and he said no problem. When the food came out there was a separate plate for me with veg sandwiches. All the food was delicious and the tea was great. The room was decorated with flowers and the ambiance was nice. It was a lovely experience for a celebration. I would highly recommend it!! Overall it was a good night because there were a few factors that made my overall experience a 3star. 1, I was not notified that the Afternoon Tea was not an option at 7pm when booking the reservation. 2, food service was slow. Our server seemed a little inexperienced in serving tea time. We expected a server to be attentive to the tea levels and general checking on how things are. Sure, one can argue about the preference for being left alone with moderation. But having over 30 years of high tea around the world, this experience falls a little below expectations. Overall, not bad but could be better; definitely room for improvement on the service etiquette. Thanks. Don’t miss this incredible experience! Wonderful tea, food, and atmosphere! A very special Boston memory! I got the Filet it was good but nothing to write home about especially for $45. It was cooked properly but the choice of beef was poor I believe. Also, for a Friday evening the ambience was a little poor no music or anything and their were little kids who may have been checking in but were running in and out of the restaurant. I went here for Valentine’s Day with my girlfriend. This place is very convenient for people who are close to the financial district. The environment is classical American luxury hotel design nothing impressive but I cannot complain. They have various choices of tea mostly low to medium quality. They offer dozens of conventional tea choices with four house blended choices. We tried the Silk Road blend and the tea is okay. The Wedgwood tea set is the only thing worthy what you are paying but the brand itself has no substances matching its price. They only serve Ferrari Rose but technically it is a sparkling wine instead of Champagne. Finally the food is terrible, the entire second floor of biscuit tray is full of British scones and this arrangement looks like master of the house serving bread to starving Irish peasants. And they do have a curry chicken tart intentionally makes you recalling the glory time of Pax Britannica. This Was not first time at the Langham.We were disappointed for several reasons. We were seated at two sofas with a small table and there was a draft from the entrance door. There was no kid menu for tea time, the piano player/music was absent, our tea pot water was luke warm and they forgot to give us our chocolate dipped strawberries. The other desserts were dry and not fresh. There were many different servers attending us which may be the reason for the confusion. Somewhat disorganized. One of the servers was a bit surly for no known reason. We ordered for our children from the kids lunch menu which they seemed to enjoy. Would not go back for tea time. Absolute perfect: able to accommodate gluten free vegan! Really cute tea, everything you would expect at English tea time!! Perfect for a special occasion since it’s pricey but worth it!! We enjoyed a delicious English Afternoon Tea - Congrats to the kitchen Team - they did a great job. The chocolate lolly's were delicious and so special, not to sweet, but tasty - so were the scones and the clotted cream to only mention a few. How nice was the idea of the christmas tree cucumber sandwiches - so nice to look at it. And off course we love the Wedgewood dishes. Service was unfortunately below average. It began upon arrival: Nobody did help us with our long coats, there was no wardrobe. We remember that last time, somebody did accompany us to the table and helped us with the coats. Fernando (we think it was his name) was always very friendly when he came to our table, but that was only to take the order and bring the dishes. He did not come to ask if we would like to have more tea or warm water, we had to really search him. Maybe he had to work elsewhere too, cause there were not so many parties having the Tea. The small tea-tasting tablet is a great idea but some of the teas did not taste very good anymore, they would sure be better, when the were fresher. And at the end: It was so freazing cold that even the tea got cold very soon. We left the Langham earlier as expected and were very happy to warm up in a heatet Taxi that took us back to our Hotel. We then thought that might be the reason they had not taken our coats: We should have worn them during our Afternoon Tea: A real Christmas High Tea is with coats on...? So as we know the English Afternoon from several times before, we know, we were not so lucky at that day and we know that this can happen anywhere. So next time we will visit Boston we will try again, just because everything we got to eat was just perfect. Service and food was particularly poor - perhaps this is an exception on New Year’s Eve...? One of our entrees never arrived and finally when the rest of the table was done with their dinners we were told that the last entree will arrive within five minutes - obviously we cancelled it. We ordered a bottle Pinot noir which arrived in four glasses topped to the brim sans bottle sans tasting! To correct for the mistake they gave us an unopened bottle and dumped four empty glasses on the table for us to pour by ourselves. The cherry on the cake is that the restaurant wasn’t even full! We were one of only 3 tables dining there! A shameful experience - what a let down for the Langham Boston! I hope that corporate takes note. 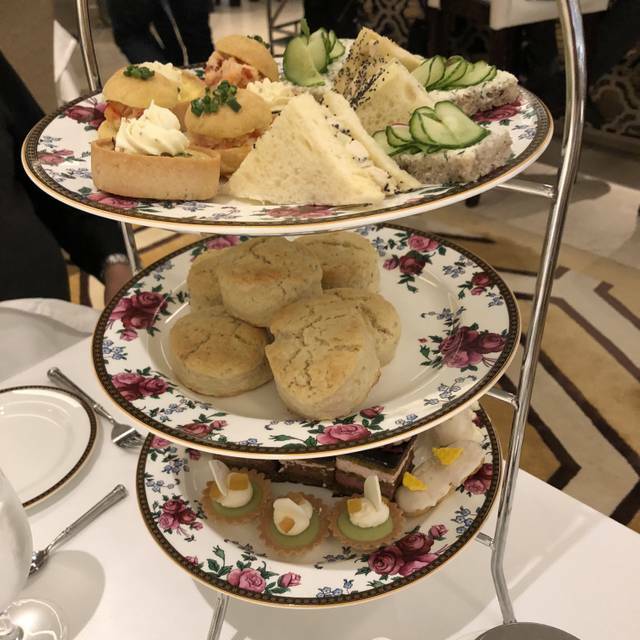 Went for Afternoon Tea on 12/31. Savory sandwiches were dry: dry bread and not enough condiments. Leak and ham mini quiche was absolutely perfect. All sweet treats were great. The lemon curd was divine. The one major problem: frantic music. Music was much too loud and the choice of crazy violins not exactly suitable for relaxing over tea. We probably won't go back. We went for tea on a Sunday afternoon. The piano playing was so loud we could barely have a conversation. The tea pots didn’t close correctly and the waiters dripped water all over our table. Then one of them stuck the foot of the three tiered server into my moms tea cup. The food was average — not at all worth the $55 per person price tag. They have a lot of work to do to improve this. Go somewhere else. 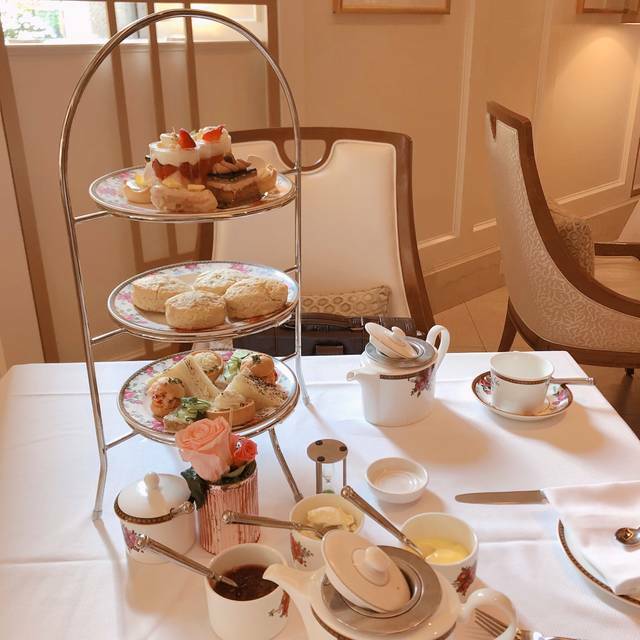 I was looking forward to afternoon tea at the Langham as a coworker had shared her experience with me. I had a special request which was fulfilled but the sandwich bread was dry which took away from enjoying the flavour. The scones were hot but taste wise nothing special. The decor was beautiful and the live piano music lovely. While the overall experience was pleasant, for $55 I was expecting the food quality to be better. Not as special as I expected. Sandwiches tasted stale to me. Honestly, it was disappointing and mediocre at best! Not a single friendly staff, not one single smile! And as a person who have been in 23 different countries, the food selection and taste were so poor and not even close to what a 5 star hotel should be offering. Massive amount of work is required in training your staff and teaching them to be customer-friendly let alone that your F&B manager should look deeply into the quality of those finger food, sandwiches and pastries: I felt I was eating from a vending machine! Tea was awesome. Accompanying eatables were so so. I came for my daughters birthday and what a delightful experience it was! The food could've tasted fresher but the music was great and the tea was excellent! Excellent afternoon Tea, definitely the best in the city and the waiters were great too. The ambiance, service and selection of teas was phenomenal! I was disappointed in the offerings for the fixed tea menu. The selection was limited and when we attempted to ask if we could order separate from the fixed pricing, the server did not allow us to voice our question. Great for a fancy birthday for the wife. The afternoon tea was really cool. This was one of the worst tea services I have been to in Boston. The food was not fresh. Everything was cold, as though it had just been pulled from the fridg. The tea was not steeping hot. The service was horrible and inattentive. After being there for 90 minutes, I had to go to the bar and ask for the check. And, for 50 bucks a person, I would expect that a fresh tea pot would be given to us automatically. Instead, I had to ask for more tea, and the server brought more semi-hot water and poured it into my already used tea leaves. horrible! I'd never go back or recommend it to anyone. Great tea and food but the service was not good at all. There were 2 bartenders for the whole room and they could just not keep up. Had to ask for a lot of things twice and wait for a while. Everything else was great. We enjoyed our tea experience. 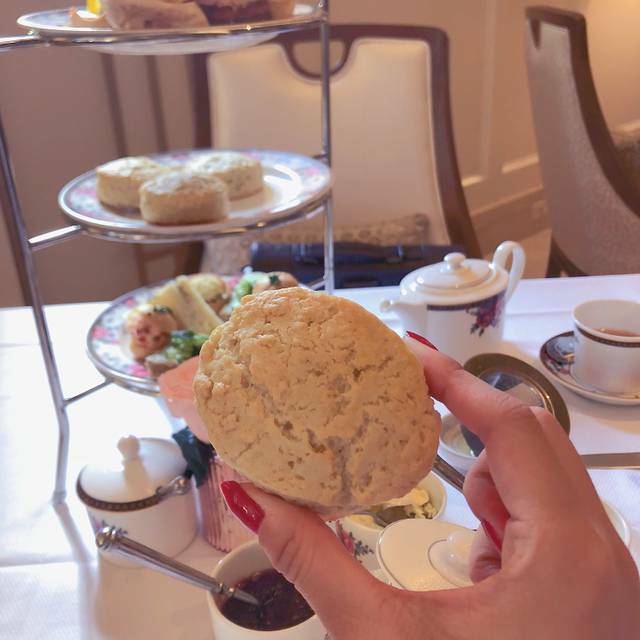 The teas were fresh and tasty, I had the apple tea, and the sandwiches and scones nicely prepared, though slightly oversized for finger sandwiches. Service was terrible - even though the restaurant was mostly empty. 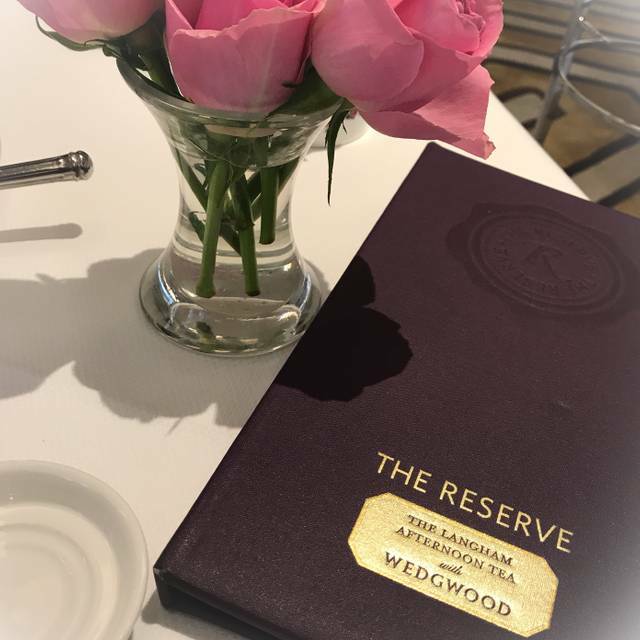 Afternoon High Tea at the Reserve was a great experience. All the food was delicious, especially the scones. Any tea enthusiast would love the box of tea that you get to choose from. My daughter enjoyed smelling the different types of tea. My friends and I had a lovely time celebrating my birthday at the Langham for Afternoon tea. The server was so nice and accommodating. 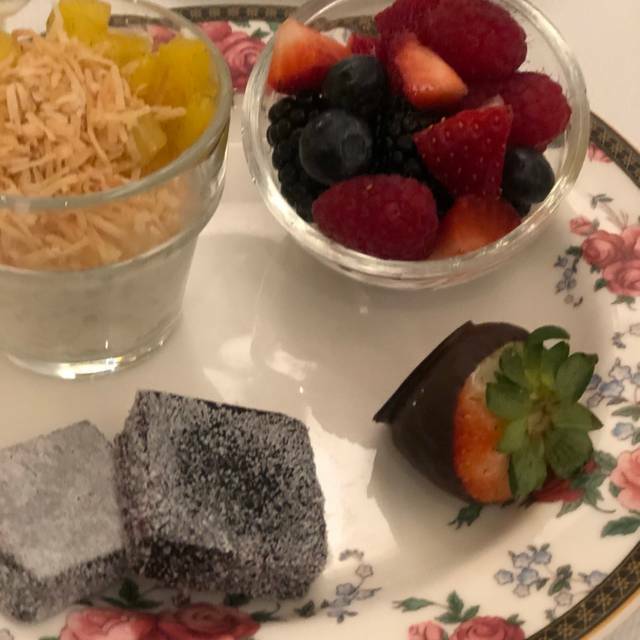 The chef was flexible and provided vegetarian options for two of my guests and the piano man even played happy birthday for me which was extremely special. The food was great and the tea selection is amazing. Would definitely recommend for anyone looking for a classy activity in Boston. 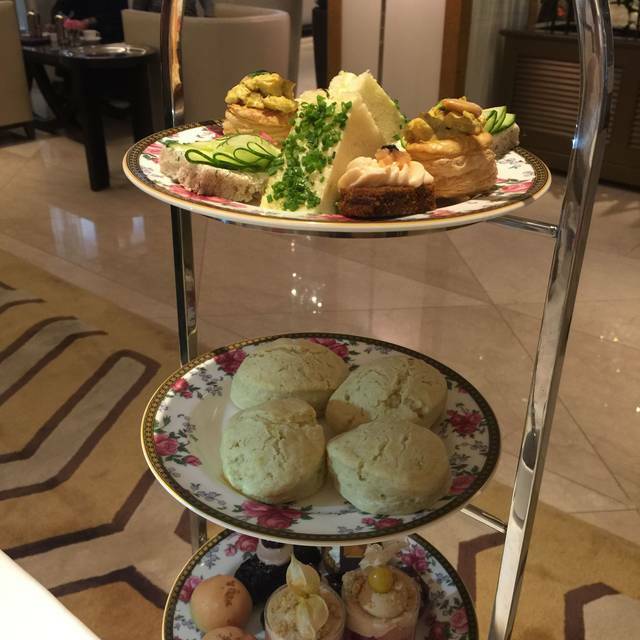 I enjoyed my Afternoon Tea experience! The food was good! There were about 20 tea choices. The food was good but the scones were plain and bland. The service was excellent. I was the only person having Afternoon Tea other than one other lady. Otherwise the room was basically a hotel lobby with lots of traffic in and out of doors. 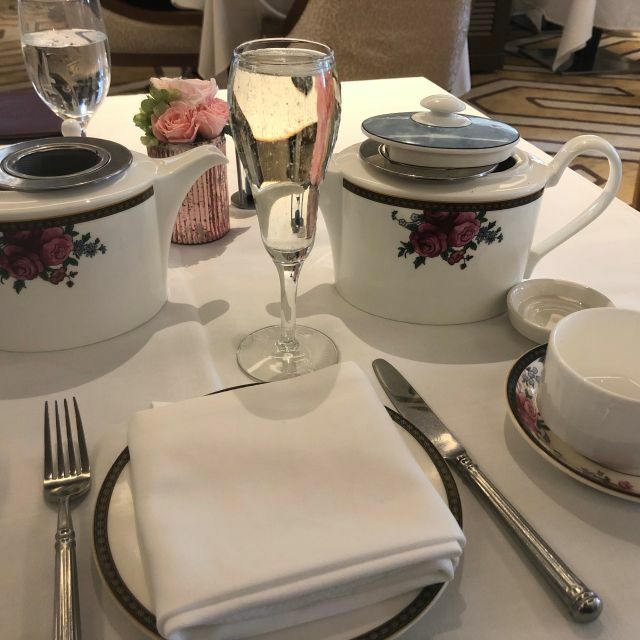 This was my third time having high tea at the Langham for a special occasion. The service this time around was unacceptable for such a reputable and expensive place. It wasn’t a very busy Saturday mid afternoon and it took our waiter 10-15 minutes to offer us the menus and tea samples to choose from once we sat down. After we asked for water, that took an additional 15 minutes. Overall we waited 45 minutes to get our lunch which is already premade since the menu is one and everyone eats the same food. The waiter didn’t come once, until we had to search out for him to ask for extra water for our tea and for the bill. Truly unacceptable, and it makes me wonder if I will come back again.